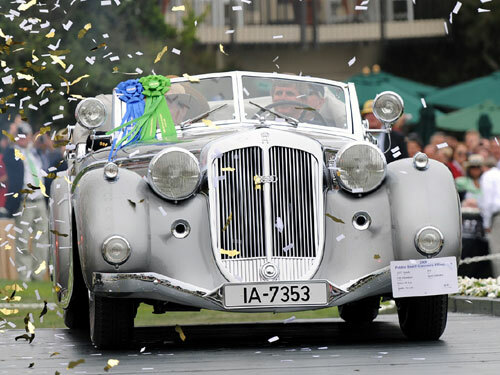 The 1937 Horch has been rolled up to reveal itself at the Pebble Beacd Concours d’Elegance. A drive around the Monterey Peninsula led it towards its entrance into Sunday’s competitive event. 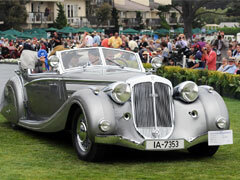 The Horch with its long flowing fenders have both been praised and criticized by many car lovers and car aficionados. Bob Lee’s 1937 Horch 853 actually fulfilled all the criteria that would make it a Pebble winner of all times. Though it has been really long and often told to be ½ a block in width, it slides along gracefully, carrying itself regally. This sporting luxury beauty won the hearts of the judges with its chrome tone and sparkling magnificence. Though competitions like these have often been prejudiced and sticking to a car’s given promises is really what matters to customers most. There were a lot many hefty contenders rolling out to beat one another at the Best of Show “Trophee”.